Pumpkin spice latte at Zeke's Coffee. Photo by Kelly Lynn Thomas. Current Features, Eat. Drink. Do. People tend to “fall” into two categories: those who eagerly await the return of the pumpkin spice latte each year, and those who are sick of the phrase “pumpkin spice latte” before autumn even arrives. If you identify with the former category, I have good news for you: There are many more places than Starbucks where you can get a PSL fix. 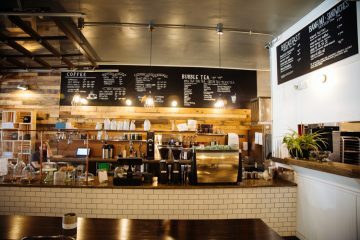 The mega-chain may have popularized this foamy fall drink, but Pittsburgh coffee shops all around town whip up their own versions that are equally good, and in many cases, better. 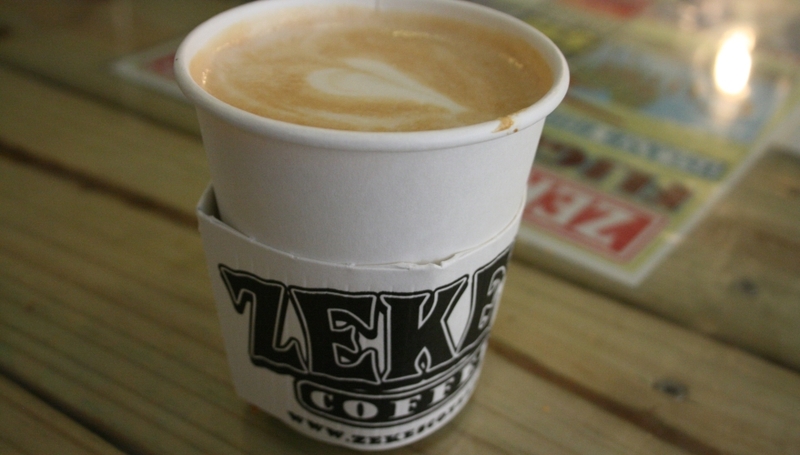 Zeke’s Coffee, 6015 Penn Ave. Although Zeke’s Coffee doesn’t debut its fall menu until September 22, the friendly baristas in the East Liberty storefront were happy to give us a sneak preview. This PSL is dripping with pumpkin flavor and lacks the odd bitter aftertaste you get from Starbucks’ version. Zeke’s uses Phillips Pumpkin Spice Sauce, which according to Phillips’ website is “handcrafted in small batches using only the finest ingredients.” After tasting the end result, I believe it. It’s pure creamy goodness, through and through. The Beehive, 1327 E. Carson St. 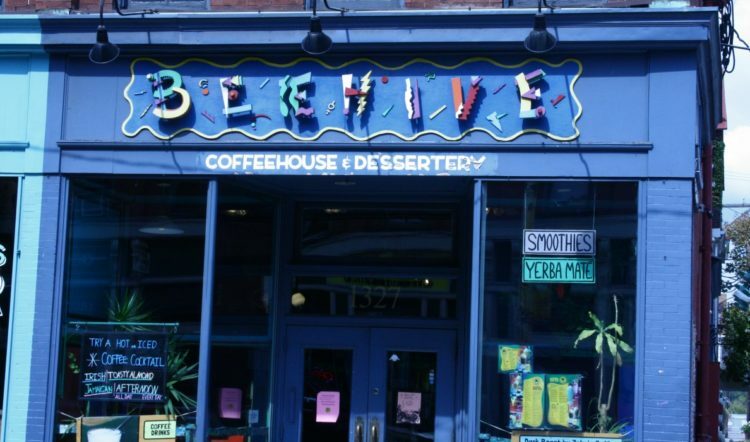 The Beehive is one of Pittsburgh’s coffee mainstays, and for good reason. The Beehive uses Torani pumpkin pie flavoring to make their PSLs, and the name doesn’t lie. This latte smells like Thanksgiving and tastes exactly like your mom’s pumpkin pie. Although they don’t typically add cinnamon, they will on request. And if you’re in the mood for something with a little extra kick, the baristas can whip up a pumpkin Irish coffee with a shot of pumpkin pie cream liqueur. The Beehive on E. Carson St. Photo by Kelly Lynn Thomas. The Kaffeehaus is a new addition to the North Side’s Deutschtown (East Allegheny) neighborhood. The owner, Chris Waraks, did much of the renovation work himself and constructed the inside to look like a cozy taproom in a quiet German village, all the way down to actual bar-style taps for regular coffee and tea. Their pumpkin spice latte features Torani syrup and an extra cinnamon kick, unique among the PSLs I sampled (most highlight nutmeg). As a bonus, Kaffeehaus doesn’t charge extra for soy or almond milk, making it a good destination for vegans and the lactose intolerant. 61C Cafe, 1839 Murray Ave. If you find Starbucks’ pumpkin spice latte to be overwhelming, give 61C’s version a try. With a mellower taste and less sweetness, this PSL has real subtle nuance. Fair warning: 61C rotates between Torani, Monin and homemade syrups, so your latte might taste a little different depending on the day. Regardless of the brand of syrup, you can count on a rich, creamy, lightly spiced latte. Just remember to bring cash. 61C doesn’t accept credit cards. 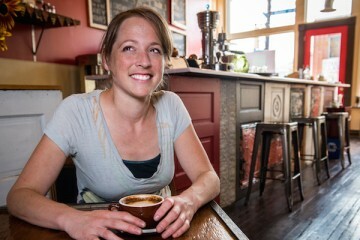 There’s a Crazy Mocha in nearly every Pittsburgh neighborhood, which makes it a good local alternative for those who enjoy the consistency of big chains like Starbucks. Not everyone in town agrees this place is worth the hype, but if you have a sweet tooth, this PSL might end up being your favorite. Crazy Mocha’s version is sweeter than most, but still comes with a big pumpkin flavor thanks to Ghirardelli’s pumpkin sauce. As a bonus, Crazy Mocha will also make a pumpkin chai latte for those who prefer tea to espresso. Do you have a favorite ‘Burgh-made pumpkin spice latte that we didn’t mention? Let us know in the comments!